We welcome enquiries from those wishing ride with us and support riding to hounds by taking out a Membership in Wellington-Waterloo Hunt. Riding Memberships may be applied for with annual fees structured according to age:- Junior 17 and under, Intermediate 18 – 24, Senior 25 and over. A Family Membership is also offered. 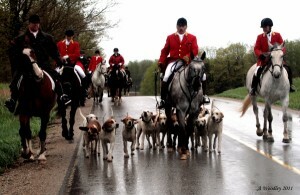 Supporter Members are also very welcome and many contribute a great deal to the non-riding and social aspects of the hunt. This can include helping at Hunt Breakfasts, Horse Shows, Clinics, being asked to help as Road-Whips (looking out for the safety of Hounds, Horses and Riders) on hunt days and with the welfare and training of our hounds. And, of course, enjoying all our many Social events, e.g. Pub Night, Olde English Feast, Landowners’ BBQ, Hunt Ball and Christmas Party. If you would like more information or have additional questions about joining Wellington-Waterloo Hunt, or to receive a Membership Application form, including our current Fee Schedule, please click here to send an e-mail. Thank you!